Owning long-term care insurance is important. Keeping it in-force is even more important. The last thing you want is for your policy to lapse just before you need to make a claim. Fortunately, federal regulations can help protect you from losing your long-term care insurance by mistake. You can designate up to 3 people to be notified in case your long-term care premium is overdue. Family, friends, and trusted advisers are good choices. Even if your policy lapses, it can be reinstated after it has lapsed (up to 6 months after the premium was due) if you were cognitively-impaired or functionally-impaired when your policy lapsed. No other insurance product has this kind of consumer protection. To make it easy for you we’ve provided the forms below. Choose your long-term care insurance company by clicking the red plus sign and follow the directions for designating which person(s) you want your insurance company to notify in case your policy is in danger of lapsing. 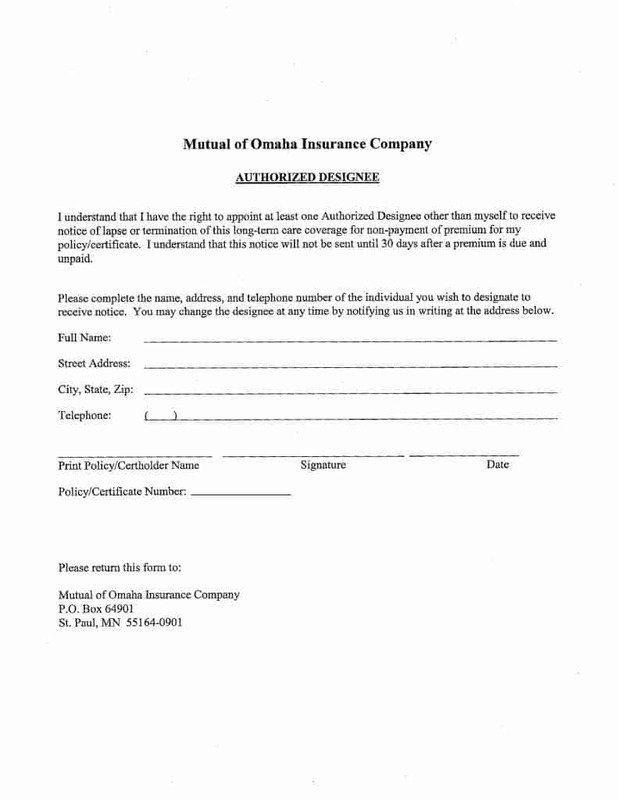 With this form, you’ll be able to add up to three unintentional lapse designees, or third parties, to receive notice should your policy lapse because the premium was not paid when due. Please click the image below to download or print this form. Make sure you complete the third party’s full name, address and phone number. Make sure you include your policy number and full name as it appears on your policy. With this form, you’ll be able to add, replace or deleting existing third parties. Please click the image below to download or print this form. Make sure that you complete the top portion of the form with your name and policy number. Complete the section entitled “Change third party”. You will need the complete name, address and phone number of the person you are adding. Make sure you sign and date the form. Mail or fax the request to the information listed at the top of the form. 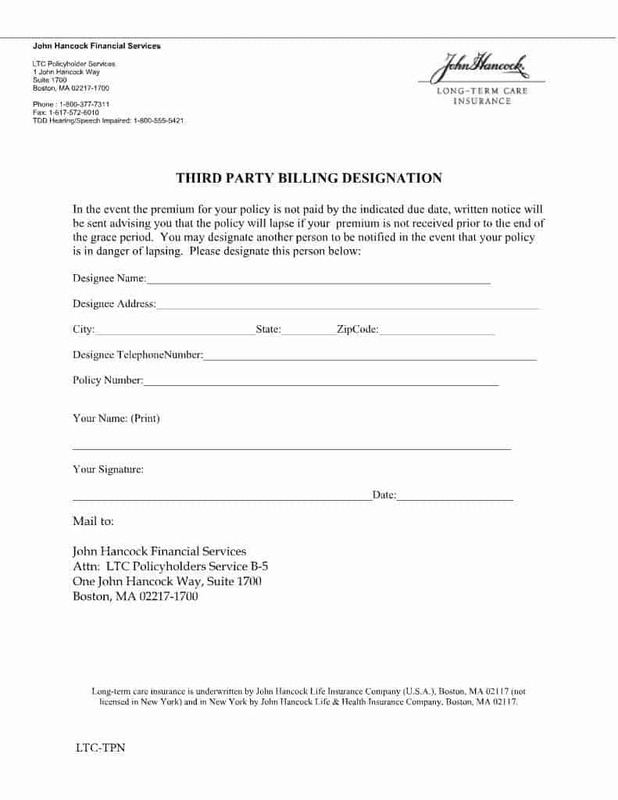 With this form, you’ll be able to a third party billing designation. Please click the image below to download or print this form. Mail the form to the address listed. 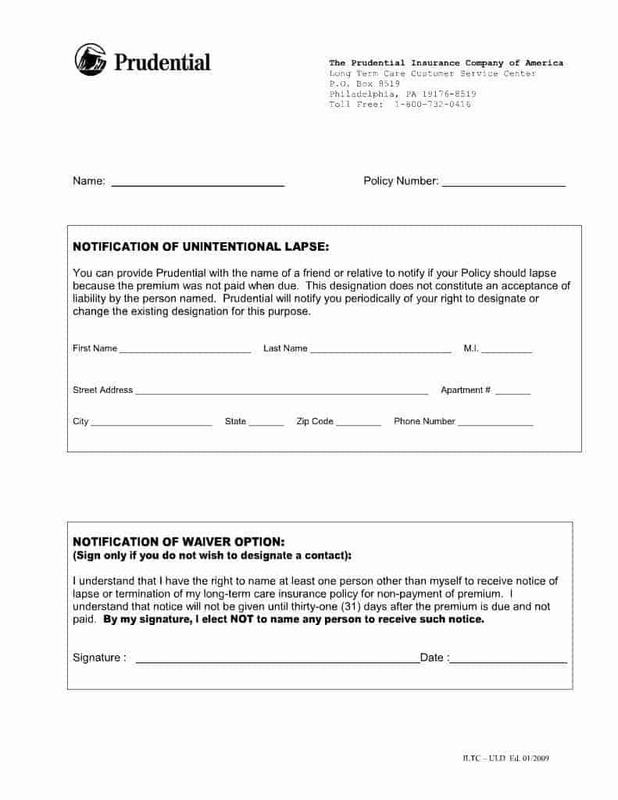 With this form, you’ll be able to add or change a third party lapse designee. Please click the image below to download or print this form. Make sure that you complete the top portion of the form with your name, address, policy number, social security number, date of birth, phone numbers and your email address. 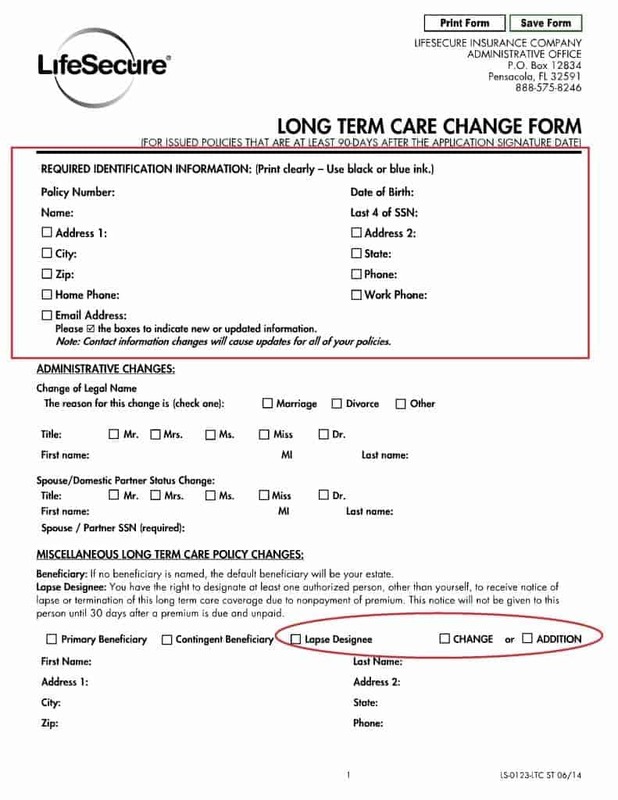 Complete the section under Miscellaneous Long Term Care Policy Changes. Make sure to check “Lapse Designee” and “Change” or “Addition”. You will need the complete name, address and phone number of the person you are adding. Make sure you sign and date the form on page 3. Mail or fax the request to the information listed under your signature on page 3. MassMutual does not have a generic form to use to add an Authorized Designee or Third Party to receive notice of unintentional lapse. Their instructions are to call their customer service number at 888-505-8952 so that they can generate a personalized form for you to use. Before you call, please be sure to have your policy number and the full name, address and phone numbers of the parties that you would like to add as Authorized Designees. Make sure that you complete the top portion of the form with your name, address, billing account number and the date. Complete the section entitled “Lapse Designee”. You will need the complete name, address and phone number of the person you are adding. Mail the request to the information listed at the top of the form. 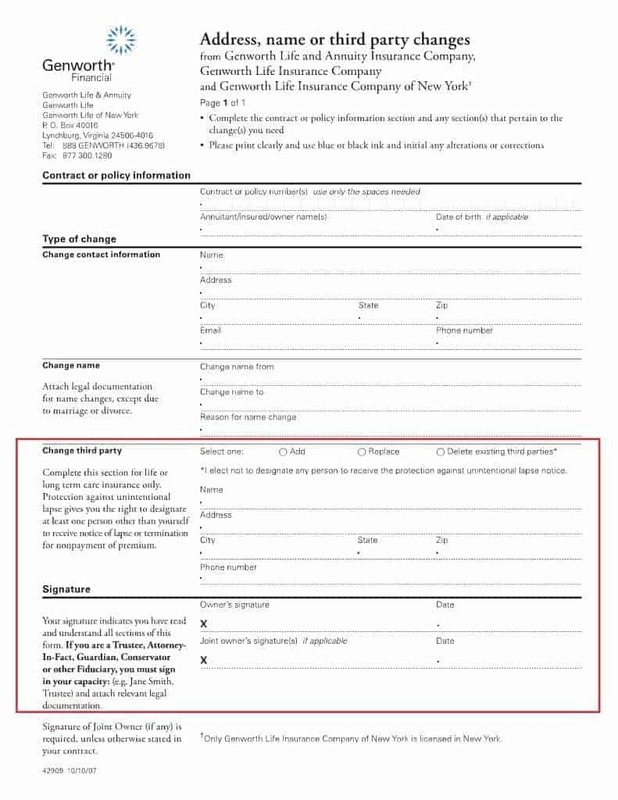 With this form, you’ll be able to add, change or update an unintentional lapse designee, or third party, to receive notice should your policy lapse because the premium was not paid when due. Please click the image below to download or print this form. Check the appropriate box indicating if you are adding, updating or removing a Lapse Designee. Fax or mail the form to the address listed at the bottom of the form. 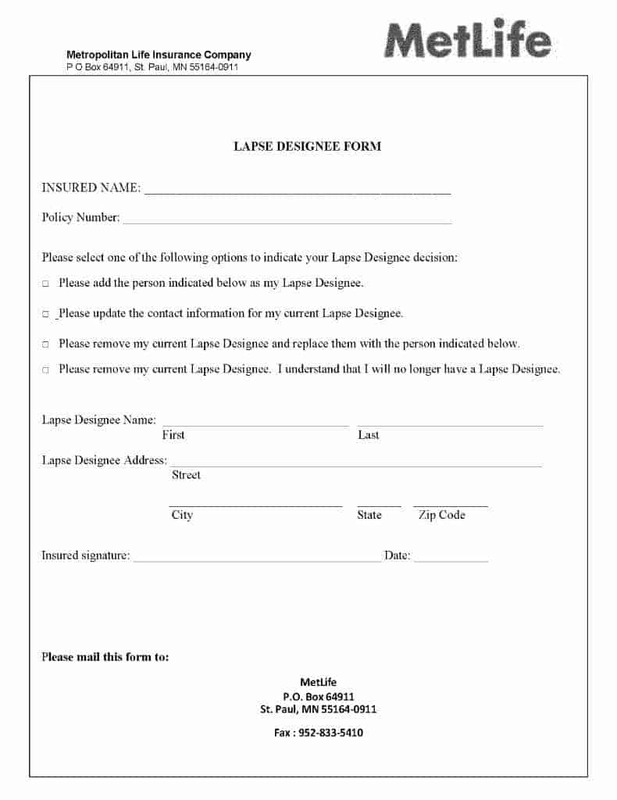 With this form, you’ll be able to add an authorized designee or third party to receive notice in the event of lapse. Please click the image below to download or print this form. You will need the complete name, address and phone number of the person you are adding as an authorized designee. Make sure you print your name, sign and date the form. Make sure you complete the section for your policy number. Mail the request to the information listed at the bottom of the form. 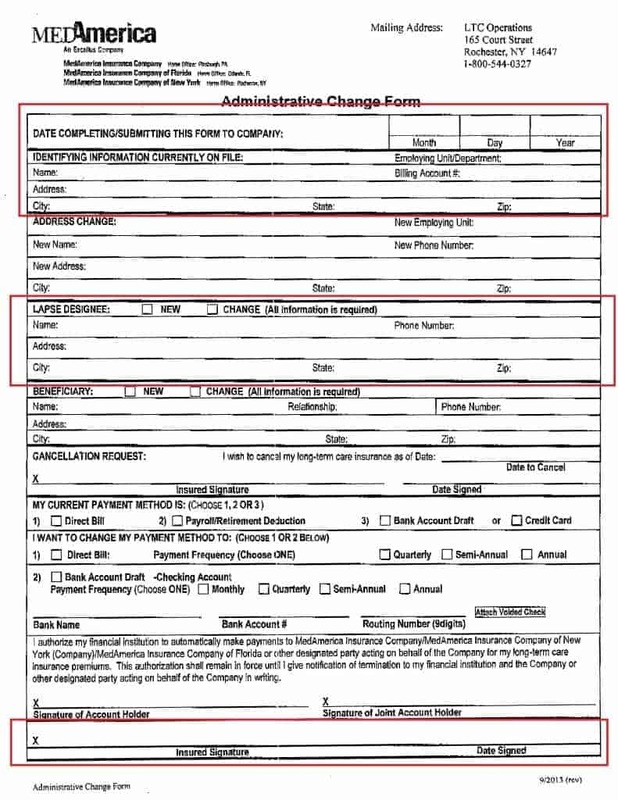 With this form, you’ll be able to add an unintentional lapse designee, or third party, to receive notice should your policy lapse because the premium was not paid when due. Please click the image below to download or print this form. You may fax this form to 877-773-9515 or mail the form to the address listed at the top. 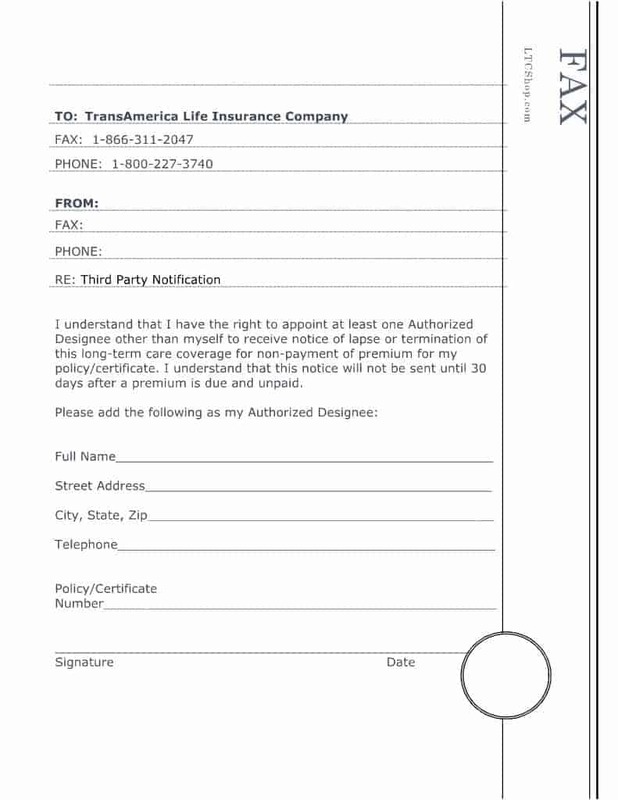 TransAmerica does not have a generic form to use, but simply states that all requests be made in writing. LTCShop has created a generic form for your convenience. 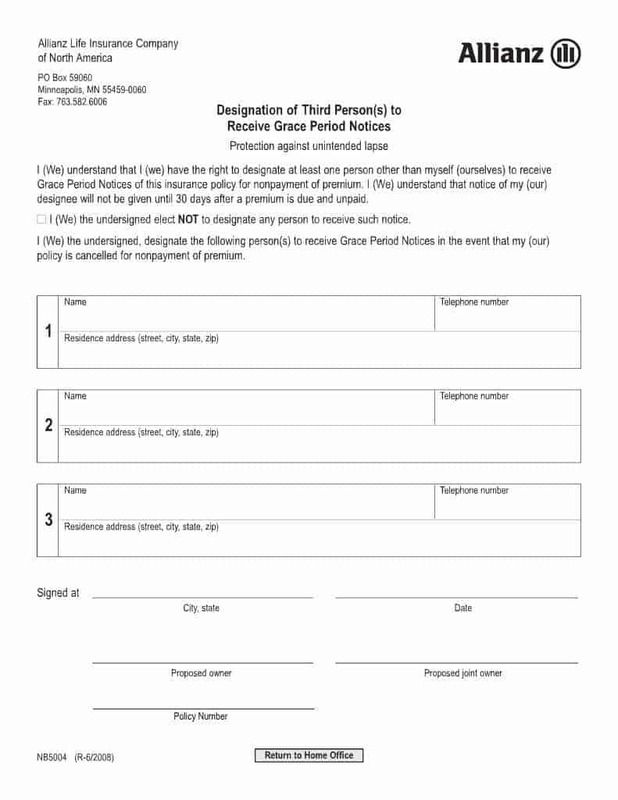 With this form, you’ll be able to add an authorized designee or third party to receive notices in the event of a lapse in coverage due to non-payment. Please click the image below to download or print this form. Make sure that you complete the top portion of the form with your full name as it appears on your policy. You may also include your telephone numbers. You will need the complete name, address and phone number of the person you are adding. Be sure to include your policy number. If you do not see your insurance company listed above, please email us and we will find it for you.